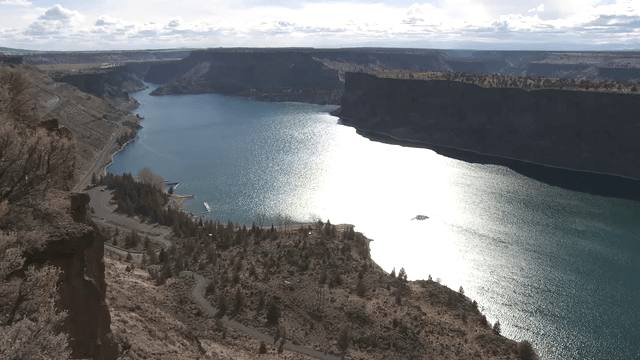 Framed by towering 400-foot canyon walls, Lake Billy Chinook offers a unique perspective on Central Oregon that also provides plenty of elbow room. The lake – due west of Madras – is framed by the snow-covered Cascade Mountains to the west and a vast undulating high desert to the east, It is big country, where distances are great and people are few. But Oregon State Parks Interpretive Ranger Paul Patton noted that when it comes to Eagle Watch, the lack of people is actually a good thing. “There are some days when you will see more bald eagles and golden eagles than you do people in the park. It’s just stunning to watch the wildlife,” he said. He’s right. We found a compelling wildlife show at The Cove Palisades State Park Viewpoint #2. The spacious viewpoint offers a breathtaking view of the lake and its varied canyons – but we were soon drawn to a more dramatic life and death show that played out hundreds of feet below us on the lake’s surface. Not one but two bald eagles repeatedly buzzed a flock of ducks. The little waterfowl were bunched up wing-to-wing so to avoid getting caught by the eagle’s sharp talons. We watched this age-old predator-prey game marked by multiple eagle dives, with talons extended, for more than fifteen minutes. It was a remarkable activity amid a timeless rim rock country on a lake that’s more than seven miles long. PGE Wildlife Biologist Robert Marheine said that Lake Billy Chinook has been a drawing card for the eagles for many years. 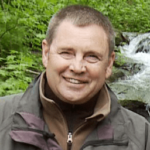 “Well, it’s a combination of plentiful food (the lake is home to a bountiful kokanee salmon) plus, huge rocky cliff escarpments that provide preferred raptor roosting and nesting habitat – it’s a special place,” he said. 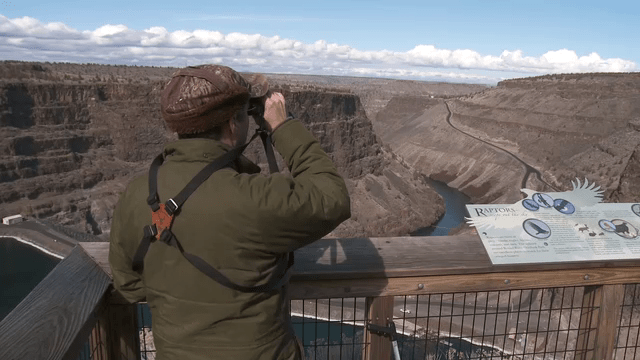 PGE’s “Round Butte Overlook Park” is a good place to duck in to learn more about Lake Billy Chinook (the lakes formed when Round Butte Dam was completed in 1964), plus the eagles and other wildlife that live in the area. 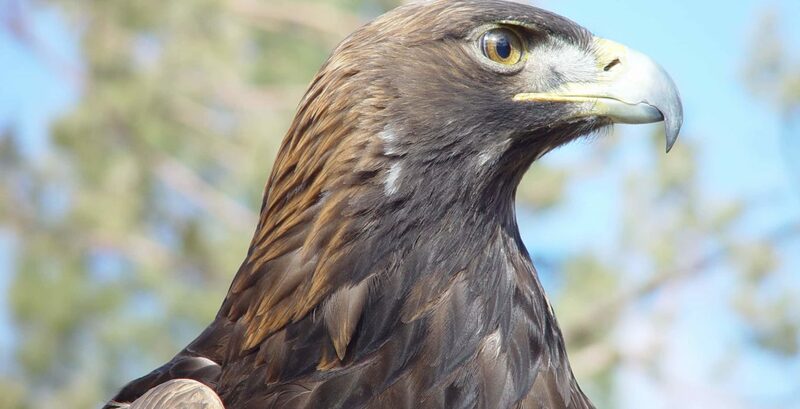 It is also the main site for the upcoming 18th annual Eagle Watch event that is co-sponsored by PGE and Oregon State Parks. The popular event draws folks from all over the west during the last full weekend in February. Patton noted that many people come to Eagle Watch to learn more from the eagle experts and guest speakers who attend the two day event.